(MoneyWatch) Just because email is a huge part of your day doesn't mean you should allow your day to be ruled by it. If you rely on Google's (GOOG) Gmail to handle most of your messages -- and your Gmail inbox is a digital rat's nest, filled with all sorts of stuff you haven't organized in months -- then you need some help. 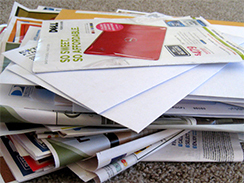 The following tips will help you get on top of your inbox using automated tools. Which is great, because whenever you have to remember to do stuff manually, it probably ends up not getting done at all. They come from MakeUseOf, which recently rounded up a handful of techniques for regaining control of your Gmail inbox. Use labels to automatically organize your incoming mail. This is one of Gmail's biggest selling points, yet many people don't bother configuring labels to filter their mail. To do this, click More in the navigation pane on the left side of the Gmail screen and create a new label. Then open an email that represents something you want to file -- a daily status email, for example. Click the Reply dropdown and choose Filter messages like this. Click Create filter with this search and apply the label you created. In the future, when new mail comes in, it'll be labeled appropriately. You can click the label in the nav pane to only see those messages, like opening a folder. File email attachments automatically. Your email platform is probably the single worst place to keep important files, yet many people leave messages in their inbox so they can find attachments. You might remember that some time ago I recommended attachments.me, a cool add-on for Gmail that automatically copies attachments from incoming email to a cloud service like Dropbox, Box, Google Drive or SkyDrive. You can easily set up rules that keep your email attachments organized and easy to find. Set up automatic canned responses. You don't have to respond to all emails by hand. If you always respond to certain messages in the same way, you can truly automate your responses using the canned response feature in Gmail -- basically, just an email autoresponder. To create a canned response, you'll need to first enable Canned Responses in the Labs tab of Settings. After that, compose a new email that you want to be serve as the autoresponse. Click the arrow at the bottom right corner of the email and choose Canned Response, New Canned Responses. When you get a message for which you want to send a canned response, click the Reply dropdown and choose Filter messages like this. Click Create filter with this search, and choose the canned response you previously created.